Bellator officials announced Nik Fekete as the second participant in this year’s light heavyweight tournament. He joins Daniel Gracie in the eight man tournament field. Nik Fekete is a former NCAA Division I All-American wrestler out of Michigan State and even helped train the 2008 U.S. Olympic team. 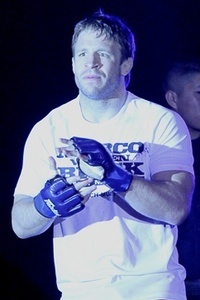 He made his mixed martial arts debut in September of 2009 and won two fights in one night, including a victory over current Strikeforce prospect Ovince St Perux. Most recently Fekete beat Chris Bostick at Tachi Palace Fights 7 in December of last year.